Mar-Train racing are delighted to announce they have signed Manxman Dan Kneen for the 2016 road racing season. Following weeks of speculation the Yamaha UK team can confirm they will run the twenty eight year old on their YZF-R6 and YZF-R1M machines at the three International road races plus other selected events which will be confirmed at a later date. Kneen burst onto the road racing scene in 2008 when he became the first newcomer to win three races in a week at the Manx Grand Prix, since then the Douglas man has notched up over a dozen top ten finishes at the TT including a fifth place in the 2010 supersport race. 2014 was undoubtedly Kneen’s best season however winning the Ulster and Irish Superbike championships as well as scoring his maiden International victory at the Ulster Grand Prix. 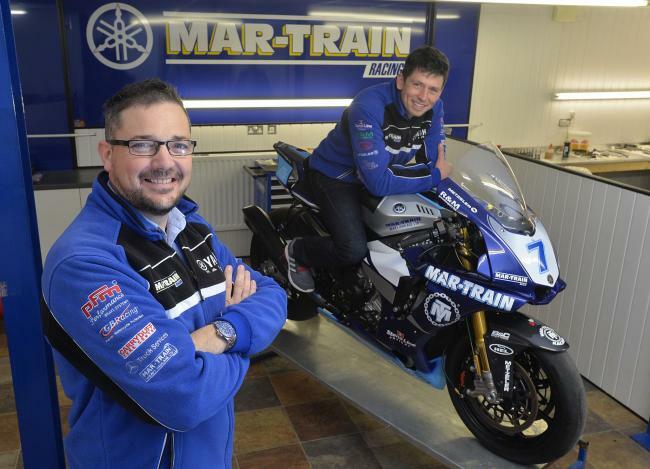 2016 is the second of a two year programme for Mar-Train to develop the all new YZF-R1M for pure road racing with the Lisburn outfit having already started to reap the rewards of their hard work towards the end of 2015. Team owner Tim Martin believes Kneen will benefit from their year of development with a stable of race winning machinery at his disposal to add to his International success.